In 1993, Dr. Heron Yu opened ACGT with a strong vision to provide the scientific research community with the highest quality DNA sequencing service. As the demand for our services expanded both regionally and outside of an academic client base, ACGT updated its technology platform to automated ABI instruments. Today, we analyze up to 2000 samples each day with banks of ABI 3730XL analyzers. 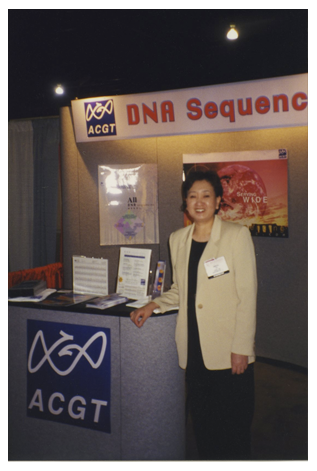 Dr. Heron Yu advertising DNA sequencing services in 1995. In 1999, we became a provider in molecular biology services, which includes cloning, library construction, mutagenesis analysis and genotyping. In 2004 we began offering our services under GLP protocols (Good Laboratory Practices pursuant to Title 21 CFR § 58) and expanded on our suite of services to include gene expression, pharmacogenomics, genetic stability testing and microbial and species identification. Today, ACGT offers services in Next Generation Sequencing (NGS) with the Illumina® platform and our expert core of staff bioinformaticians. 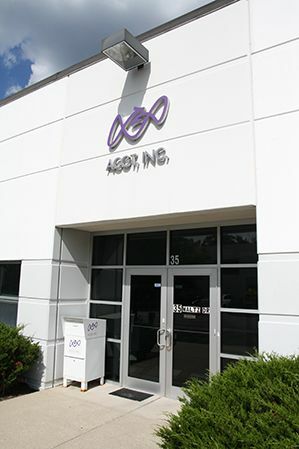 A second location in Germantown, Maryland was launched in 2012 to serve our east coast clientele, and in the same year ACGT was certified by the College of American Pathologists (CAP) and the Clinical Laboratory Improvement Amendments (CLIA) to provide clinical grade services. At ACGT, we take great pride in providing our clients with our competent, expert services with an individualized attention to meet your project needs. We strongly identify with the objectives of the scientific and medical communities. At ACGT, we are committed to providing you with accurate and timely DNA sequencing and molecular biology services tailored to meet your specific needs. We take great pride in our exemplary customer service and the loyalty of our clients. Competence, trust and integrity. ACGT is committed to excellence in both science and service. ACGT values the individual contribution of each and every employee. We work hard to promote personal and professional growth and cultivate an open, friendly workplace. At ACGT we are committed to rewarding dedication and strong employee performance. ACGT understands that your project is unique with its particular objectives and its own challenges. Regardless of size or complexity, each project receives a personalized attention from our expert staff and technicians. At ACGT, we are committed to achieving a high level of customer satisfaction. Technology is constantly evolving and ACGT is determined to seeking out and applying the most advanced technology to deliver the most reliable services in an efficient and cost effective manner. ACGT recognizes that it is privileged to possess the resources and technologies that can significantly enhance the lives of individuals and communities. We are committed not only to providing quality DNA sequencing and molecular biology services, but we also aim to be a great corporate citizen through our donations and charitable givings.